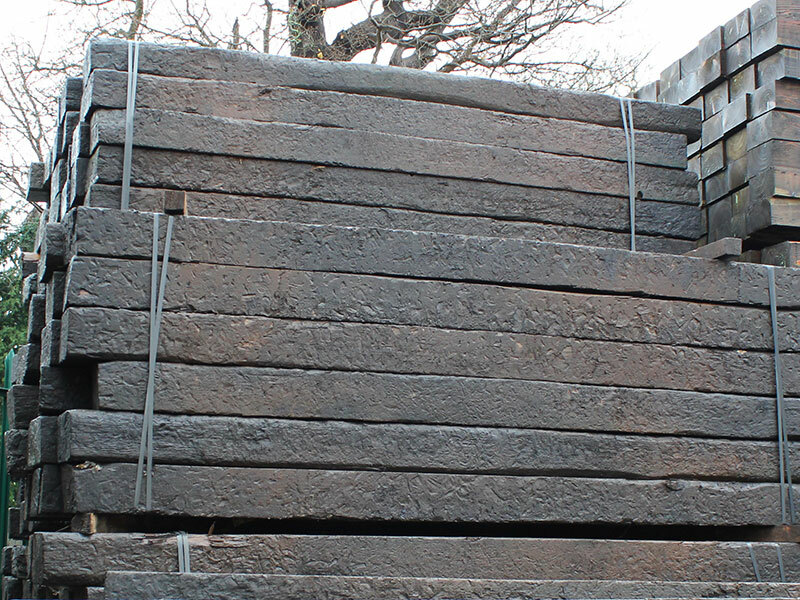 All of our 2.6m reclaimed railway sleepers are treated with creosote so they should not be used indoors or where you may come into regular contact with them, such as a seating area or a vegetable bed. We would suggest wearing gloves when handling this product & at c.80kg each, two people will be required to carry them to site. Cross section 250mm x 150mm approx. and please be aware these reclaimed sleepers have had a hard life on the railways, so will often contain retention straps, holes & have rough looking sections on all sides.